I really like using songs in the classroom to reinforce grammar points or to teach vocabulary and expressions. 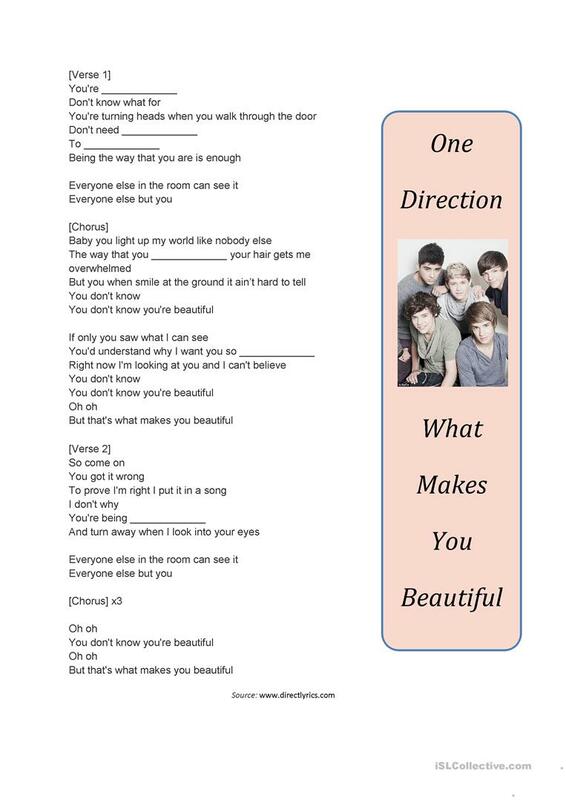 I find that songs work especially well with teens so I always ask my students what songs they want to learn the lyrics to. 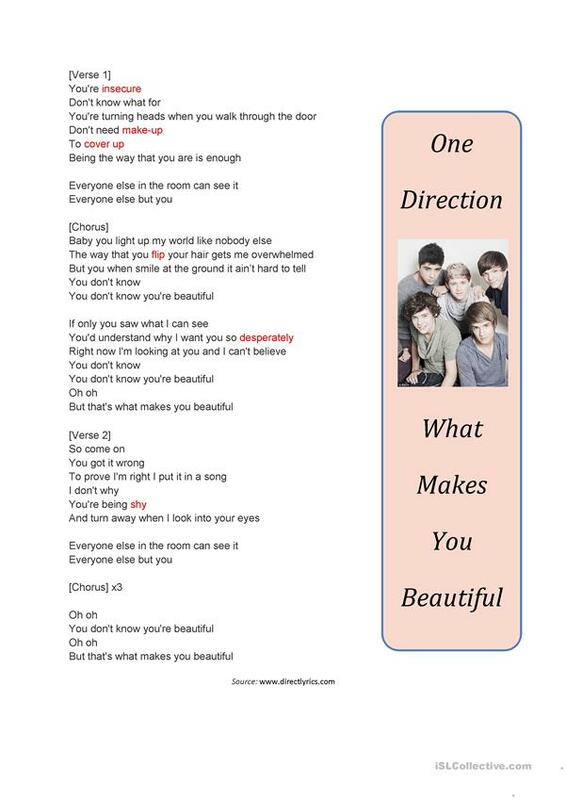 Recently one of my classes chose Beautiful by One Direction. This upload contains a pre-listening worksheet covering some vocabulary and expressions from the song followed by a listening worksheet (gap fill which repeats the previous vocabulary). 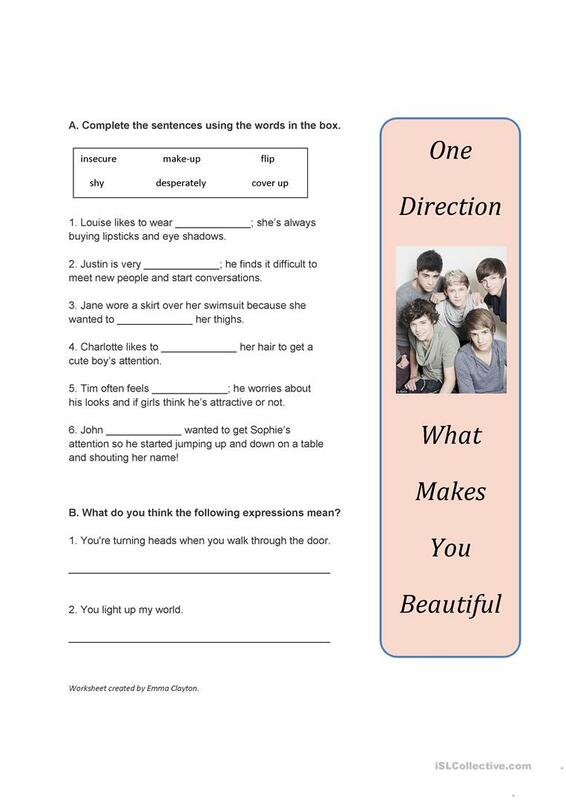 Answer keys are also included. The above downloadable handout is meant for high school students at Pre-intermediate (A2), Intermediate (B1) and Upper-intermediate (B2) level. 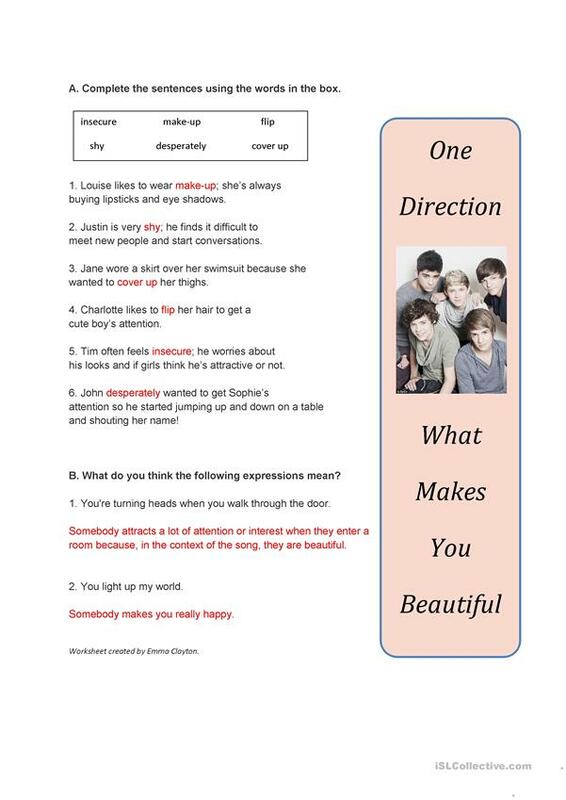 It is useful for enhancing your students' Listening skills. You will find the key at the end of the worksheet.